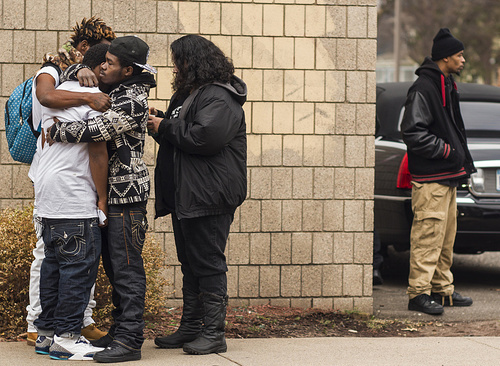 Washington PostThe death of the 24-year-old Clark, who was shot by a police officer in Minneapolis on Nov. 15, is under federal investigation. 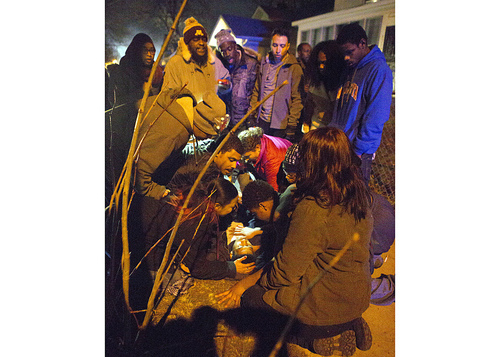 Monday night’s shooting at the peaceful protest in front of the Fourth Precinct was appalling. I pray for the victims, and hope their recovery is quick. I demand the shooters be brought to justice, and I am relieved that three suspects have been arrested. The shooting of five black men at a protest focused on racial equity should be investigated as a hate crime. 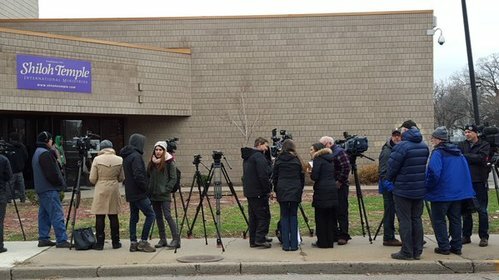 I attended Jamar Clark’s funeral today, and I join in the community’s mourning for Jamar Clark and for all of the Jamar Clarks who propel the protestors to demand meaningful change. 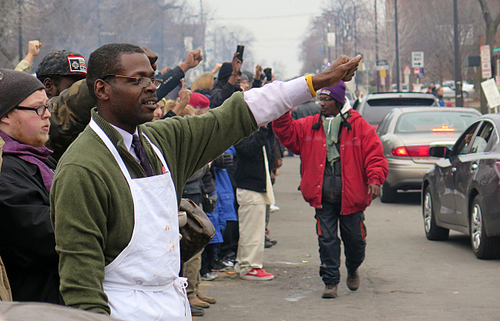 Since the occupation of the Fourth Precinct, Black Lives Matter Minneapolis has achieved a great deal. They asked for and received an independent investigation by the state and federal governments. They asked for and received the release of the officers’ names. 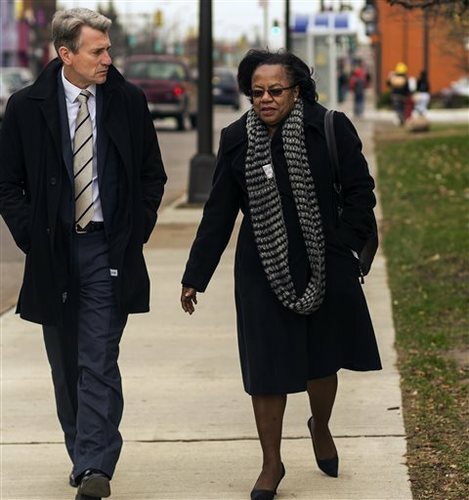 They met with Assistant Attorney General Vanita Gupta, Governor Mark Dayton, and lawyers from the Department of Justice. They also received a commitment that the tapes of Mr. Clark’s shooting will be shared with the family and made public as soon as it will not impede the investigation. I stood behind Black Lives Matter Minneapolis with these requests and have echoed them at every opportunity. They also held an impactful community march yesterday to raise awareness and show solidarity for justice. I understand the power of exercising First Amendment rights. 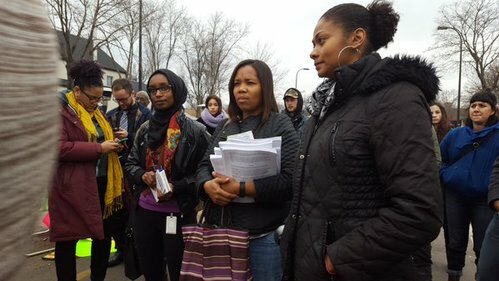 This activism has sparked a long overdue conversation about issues facing Black Minnesotans, which I know intimately as a North Minneapolis resident. As we continue our work on these critical issues, the safety of everyone at the Fourth Precinct must be our highest priority. Monday night’s shootings are not the fault of the victims or the Black Lives Matter movement, which is committed to non-violence. But given the events of this week, there’s no denying that conditions are unsafe. 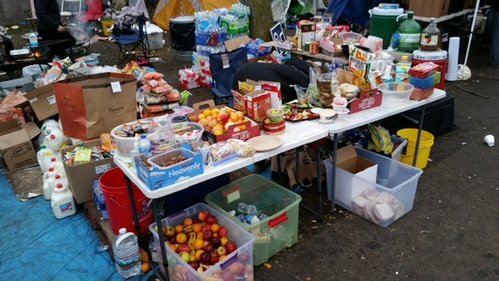 Protestors and activists should continue to push for systemic change in Minnesota, but it’s time for the protest occupying the Fourth Precinct to evolve beyond the encampment. The changes we seek will likely take years, not weeks or months. But together, as a community, we can move forward to ensure that we all have an opportunity to live in an equitable, just, peaceful society. Henn. Co. Attorney says court has granted extension for charges in shooting at Jamar Clark protest until noon Monday. MPD says 4 in custody. 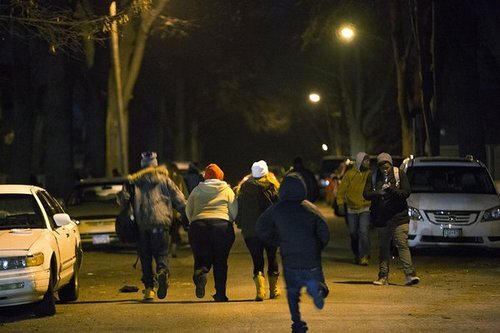 Monday night, five people were shot outside the 4th Precinct police station, where protests over the police shooting of Jamar Clark had been going on for a week. As shots rang out, protesters ran toward the sound. Freelance photographer Christopher Juhn was on the scene and got these photos. 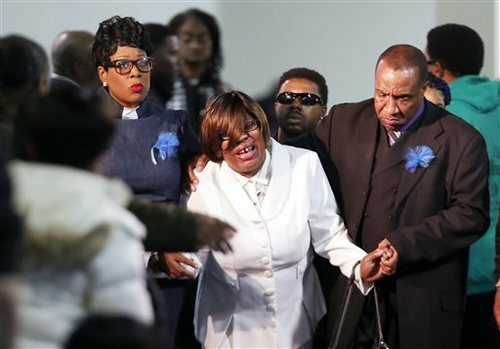 Minneapolis (AP) — A steady stream of mourners entered a north Minneapolis church on Wednesday to pay their respects to a man whose death in a confrontation with police sparked more than a week of protests. Meanwhile, charges were pending against three men suspected in a melee that left five protesters with gunshot wounds. A picture of a smiling Jamar Clark adorned the program for his funeral at Shiloh Temple International Ministries. 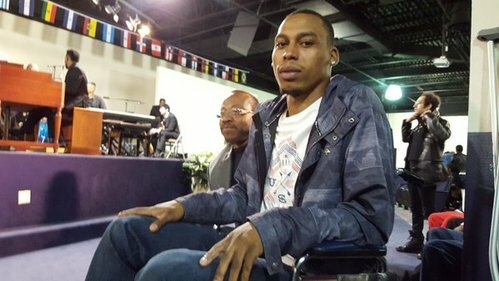 Inside, his obituary said the 24-year-old man "liked to swim, fish, listen to music, play basketball, be with family and take trips to Charlotte, North Carolina." Clark, who was black, died Nov. 15 in what police say was a scuffle with officers responding to an assault of a woman in which he was a suspect. 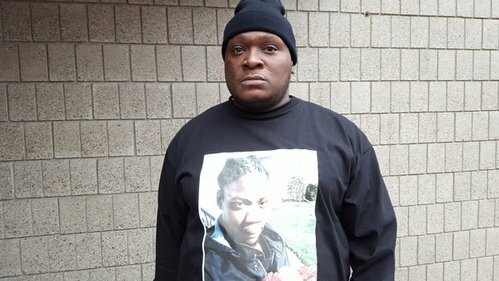 Some community members who say they saw the incident allege Clark was handcuffed when he was shot, which police have disputed. A state criminal investigation and a federal civil rights probe are underway. 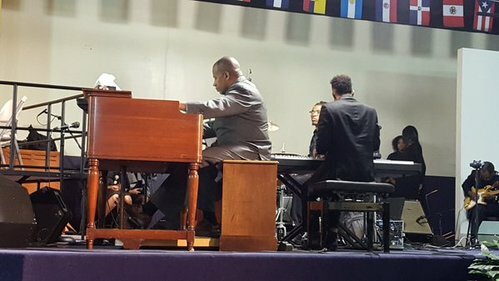 Several hundred people filled the cavernous Shiloh Temple, with impassioned speeches from family members and pastors occasionally interrupted by shouts and applause, and a slideshow of pictures of Clark as he grew up. Several members of Clark's family wore white T-shirts that read, "I matter," on the front with Clark's picture on the back. "I'm still hurt," said his sister, Sharice Burns. "I'm still suffering. We need justice sooner rather than later." 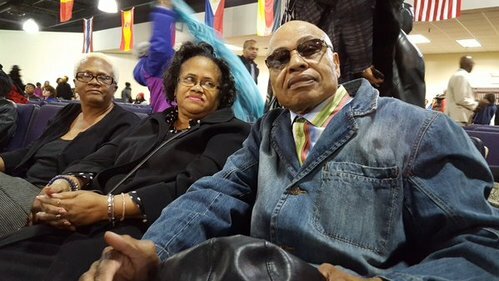 Bishop Richard Howell praised protesters for pressure that he said helped get a federal civil rights investigation and the names of the officers involved. Howell said what's needed now is a special state legislative session to address the needs of Minnesota's minority community. "Jamar, your life did and does have purpose," he said to a standing ovation. "Your death is not in vain." Protesters have rallied nightly outside the 4th Precinct police station near the scene of his death. On Tuesday, police arrested three white men — ages 26, 23 and 21 — on suspicion of shooting five Black Lives Matters protesters after some of them tried to get the men to leave the site late Monday night. The shootings spurred a massive march Tuesday evening, with a racially mixed crowd marching more than 2 miles to City Hall and back. Hundreds of demonstrators milled quietly around portable fire pits to share coffee, pizza and doughnuts as music played. But the shootings have prompted safety concerns. 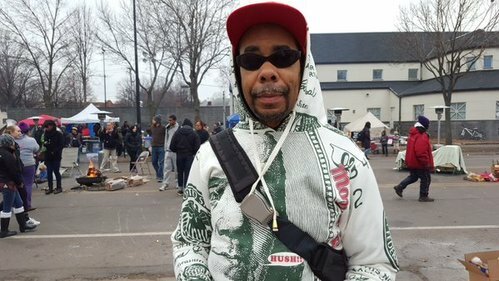 Clark's family has asked for protesters to end the 4th Precinct encampment, out of concern for their safety, and U.S. Rep. Keith Ellison said it would be wise to "start thinking about an exit strategy" and what to do next. Steven Belton, interim president of the Minneapolis Urban League, echoed those sentiments on Wednesday, saying protesters had achieved most of what they wanted, including the federal investigation and the names of the officers involved. Belton said the vigil should end to "restore order" to the community, which he said has endured open gunfire, traffic and service interruptions, smoke from the protesters' fires and hours of helicopter noise. That likely won't happen, said Jayme Ali, a pastor at God of All Truth Church. 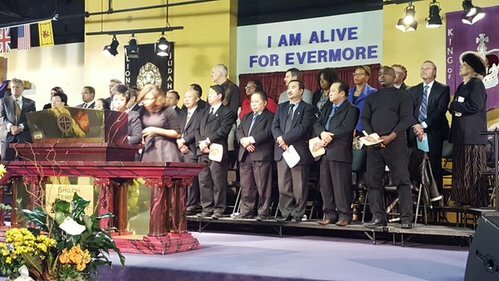 In brief remarks outside the church where Clark's funeral was being held, as mourners streamed past, she said another rally was planned for Wednesday afternoon. 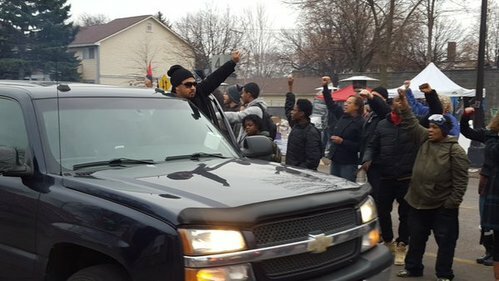 Protesters have demanded investigators release video of the Clark shooting, and Ali noted it took more than a year before the city of Chicago on Tuesday released video of the fatal police shooting of a black teenager. "We are not going nowhere. 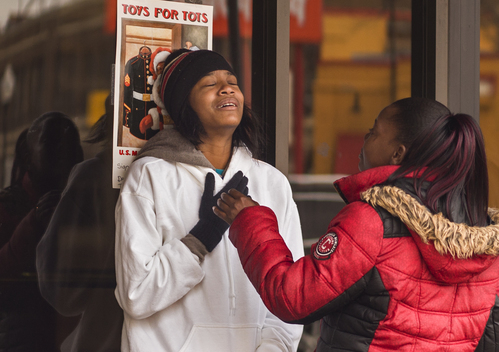 We are there until we get justice for Jamar Clark," she said. "Fourth Precinct, start taking donations for a new building, because we are not going anywhere." Police haven't given a suspected motive for the shootings of the protesters. But they followed several racially disparaging comments about the protests that had been posted on social media in recent days. One video showed a white man brandishing a gun while claiming to be on his way to the protests. 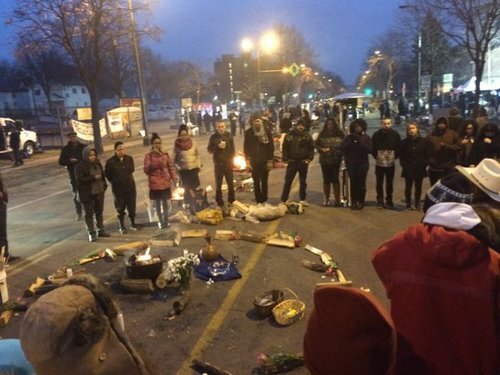 Police had issued a warning Friday night, asking demonstrators to be vigilant and report any suspicious behavior to authorities. Should the shooting that wounded 5 near the encampment be called domestic terrorism? "You have to look at this as a possible act of domestic terrorism," Ryan Lenz from the Southern Poverty Law Center told Tom Weber. Lens notes that in the period of 2009 and 2013 there have been 63 acts of terrorism carried out by the radical right in the United States. He cites the SPLC's Lone Wolf Report as the source of this data. James Hill, brother of #JamarClark , calls out to @MayorHodges , says: "Do your job, see that justice is done, hold police accountable." 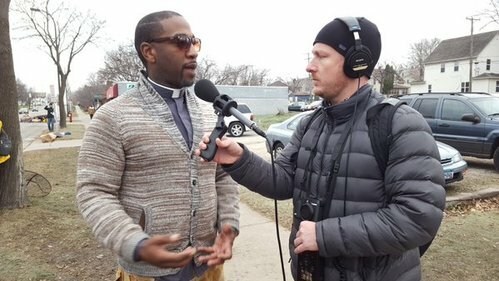 Pastor Jayme Ali of God of All Truth Church and One More for Jesus Outreach Ministries, talking about the joint Minneapolis and New York City rallies today. - All family wearing buttons that say "I matter"
"I think a lot of response to black discontent is framed around the fact that we have a black president and that people in the black community should not feel that they've been slighted," Duchess Harris, professor of American studies, department chair at Macalester College said on MPR News with Tom Weber. When is a person considered a white supremacist? As the investigation into the shooting near the 4th Precinct encampment continues Ryan Lenz from the Southern Poverty Law Center joined MPR News with Tom Weber and offered this definition of a white supremacist. "A white supremacist is simply someone who believes, has a myriad of ideologies, but at the core of each is this idea that whites are somehow supreme to every other racial group in the world. Those ideas are help passionately it isn't that difficult to find someone who holds those beliefs." 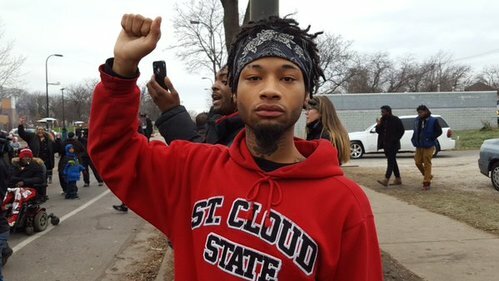 Some community leaders are calling for peace on the day of the funeral for a black man killed by Minneapolis police. 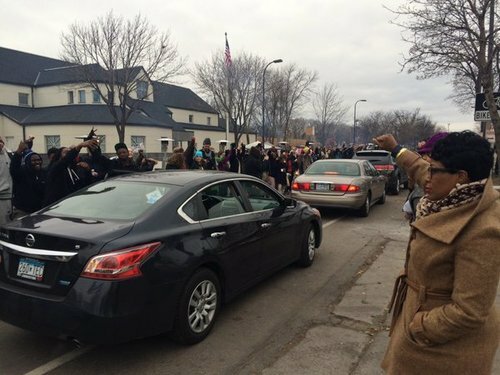 Family members of 24-year-old Jamar Clark also asked for no protests on Wednesday as he is laid to rest. Some relatives called for an end to demonstrations altogether, after five protesters were shot Monday. 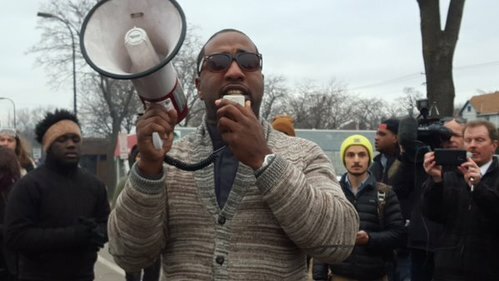 Steven Belton, Interim President of the Minneapolis Urban League, says demonstrators camping at the local police precinct have already achieved much of what they wanted, including the names of the officers involved and a federal investigation. Belton says the vigil must end and that it's time to allow investigations to take their course. 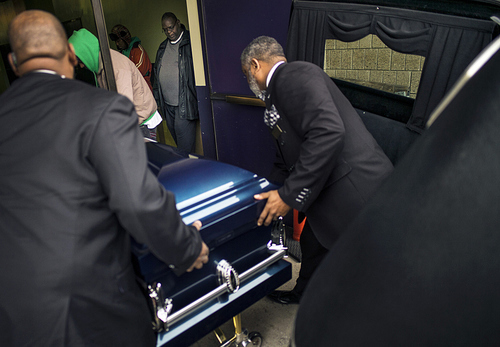 Clark was shot Nov. 15 after a struggle with police. Some who say they saw the shooting insist Clark was handcuffed, but police dispute that. 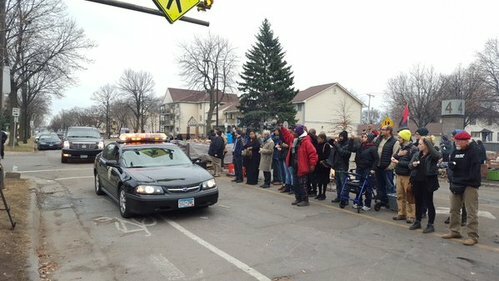 Demonstrations outside the Minneapolis Police Department's 4th Precinct are entering an 11th day. 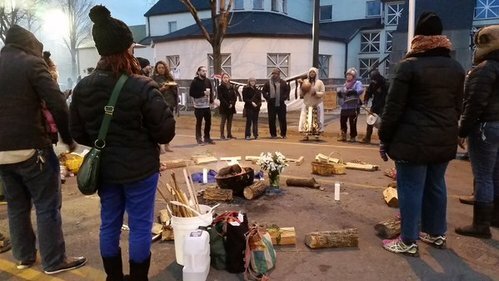 About 60 demonstrators remained on Plymouth Avenue overnight, most of them huddled around fires lining the street in front of the police station. A protester standing watch said they'd heard at least one gunshot overnight. But there were no incidents like the shooting that followed a confrontation with infiltrators Monday night. Jayme Ali, a local pastor, says they plan to stay at the 4th precinct. 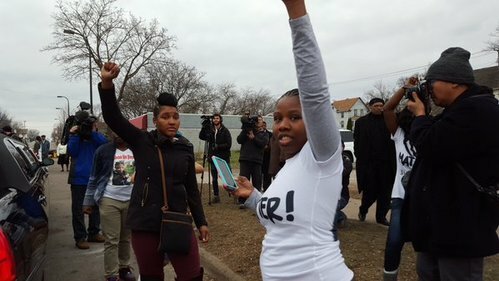 "We are there until we get justice for Jamar Clark"